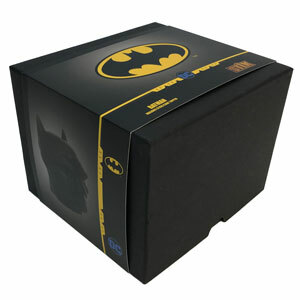 And if you have a Batman-style handle, do you call it a Bob Cane? It’s a good idea to make the pieces interchangeable, because some days you feel like Batman, and I know at least two people who have their days they feel like the Joker. The price point from Factory Entertainment admittedly feels a little high, but I can’t say that I’ve done much shopping for high-end walking sticks, either. 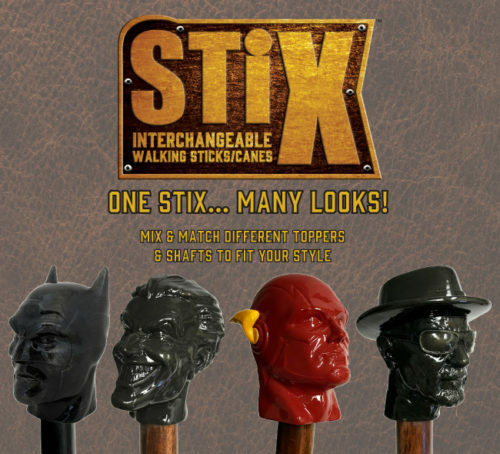 Whether used as a fashion accessory or a functional cane, STIX™ will make any pop-culture fan stand out from the crowd!